Ocean acidification happens when the concentration of hydrogen ions in the world's oceans increases. This lowers the pH and makes the water, relatively, more acidic. Carbon dioxide dissolves naturally in water. The chemistry that happens next creates dissolved free carbon dioxide, carbonic acid, bicarbonate and carbonate in proportions that are determined by the initial pH and temperature of the water. As more CO2 dissolves so the water becomes more acidic. Over the last 200 years there has been an increase of nearly 30% in the acidity of the oceans. Currently the average pH in the oceans is 8.069, some 0.11 pH units less than in pre-industrial times. Modelling predictions suggest that by 2100 pH will drop a further 0.3 to 0.5 pH units and cause further ocean acidification of up to 120%. The models are based on the premise that CO2 concentrations in the atmosphere will rise and that global warming from the increased greenhouse gas effect will raise ocean temperatures. Surely this ocean acidification does not matter. Even a 0.5 pH unit shift would see the ocean waters at a pH above 7, technically well into the alkaline spectrum. We would not be swimming in an ocean of acidity for the water would still be slightly alkaline. Unfortunately, as with all things in nature, the balance of conditions is important. Even slight shifts in the chemistry and physics of the system, can be enough to disrupt the biology of creatures attuned through natural selection to particular conditions. And if a pH change was the only disruption, then perhaps a 0.5 pH unit change would be tolerable. But this is not the only disturbance. We have to factor in exploitation of marine resources, pollution and habitat change along coasts. 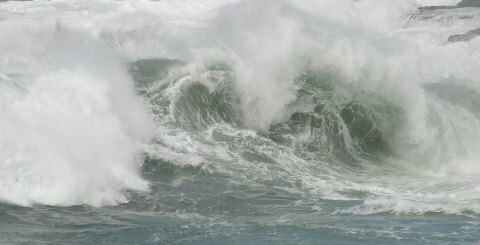 In April 2011 world experts on oceans met at Oxford University in the UK to review information on these ocean stresses. 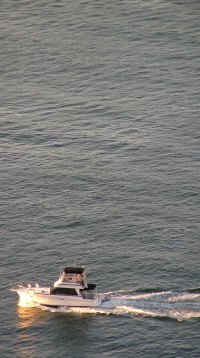 ...not only are we already experiencing severe declines in many species to the point of commercial extinction in some cases, and an unparalleled rate of regional extinctions of habitat types (eg mangroves and seagrass meadows), but we now face losing marine species and entire marine ecosystems, such as coral reefs, within a single generation. See the full summary report. This kind of doom and gloom message has been delivered before. When Rachel Carson woke us up to the perils of complex chemical pollutants in the 1960's we did something about it. Laws were passed to limit pollution from complex organochlorides like DDT and institutions like the Environmental Protection Agency were created around the world to enforce the new rules. Interestingly her book Silent spring is still a salutary read. Paul Ehrlich caused a stir with his book on over-population, the Population bomb, back in 1968 and was alerting us all about global warming in the 1970's. We didn't do too much about either problem back then. Population growth was good because it meant more consumers to fuel economic growth and the climate... hah, crazy man. Inaction is equally likely on information that the oceans are about to collapse. we are not likely to do much about these things. The hurt is not close enough, immediate enough or painful enough... yet.